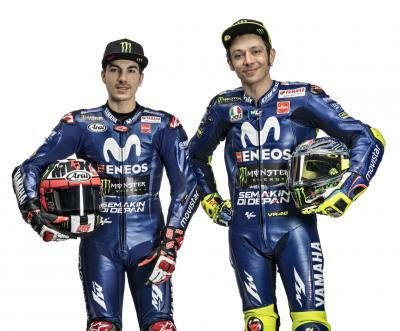 Movistar Yamaha MotoGP had their Team Presentation in Madrid on Wednesday, with Izaskun Ruiz and Dylan Gray hosting the event as riders Valentino Rossi and Maverick Viñales revealed their colours for 2018. The new livery moves towards more blue and white as a colour scheme, and was revealed towards the end of the presentation. 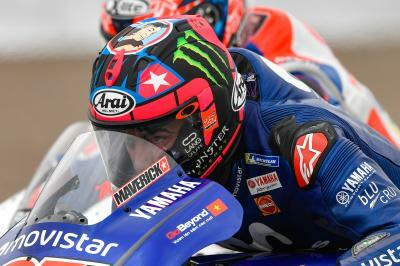 Ahead of the big reveal, Massimo Meregalli - Movistar Yamaha MotoGP Team Director - was the man charged with analysing the season just gone and gearing up for 2018. 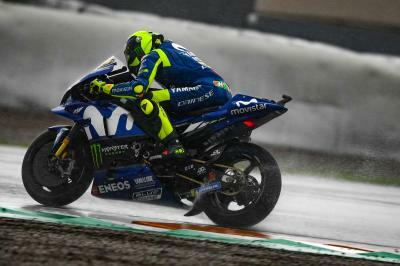 “It was really important to test in Valencia and then in Sepang,” began the Italian, “because we could compare the same items on two different tracks with different conditions. 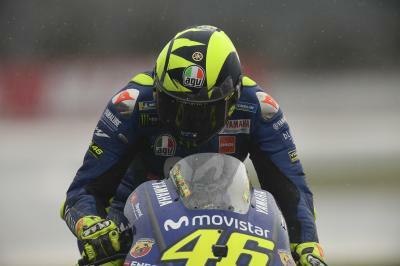 At the end of these five days, we could decide the base of the bike that Valentino and Maverick will now start testing in Sepang in a few days.” That first test of 2018 begins on Sunday at the Malaysian venue where, as Meregalli pointed out, Yamaha put in a private test towards the end of 2017. Now, work will concentrate on reconfirming and developing – with some specifics to work on. And on the goal for the year? The one of every rider and team on the grid: win. It was then soon time for those riders to take to the stage. 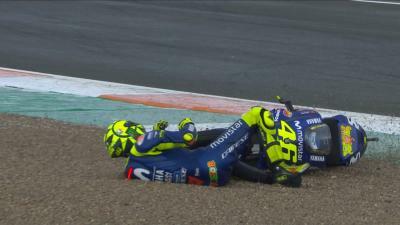 First Valentino Rossi, as he talked about the season just gone and his expectations for 2018, followed by teammate Maverick Viñales. 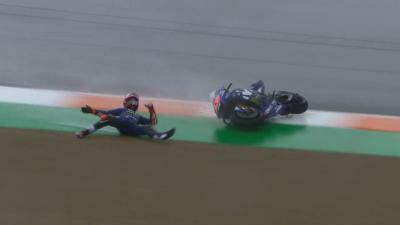 Viñales similarly summarised the year and looked ahead to the future – in his case, even further than 2018 as the Spaniard revealed a new, two-year contract with Yamaha. Finally, the riders’ two new Yamaha M1s were unveiled – more white and blue, and ready to get the season underway at Sepang on Sunday for the first test of the year. Viñales: "Ob nass oder trocken, wir stehen vorne!"